It’s often the unsung heroes of fantasy that have the best stories. Sure, you might be a brave warrior or wily mage, but does anyone talk to you about their troubles after the end of a hard day’s adventuring? Dungeon Brewmaster puts you in the leather boots of a fantasy bartender, mixing it up (literally) with a cast of larger-than-life characters in order to make a little coin. Give us the rundown on Dungeon Brewmaster. Dungeon Brewmaster is a virtual reality game that fully immerses you in a magical world, much like Harry Potter or Dungeons & Dragons. Only here, rather than playing the hero, you play the barkeep at a local tavern whose every decision shapes the town around you. Your patrons don’t differ much from those in the real world, other than sometimes being eight-foot-tall Frog Ogres at the brink of war with Barbarian War Bisons… sounds like a normal happy hour to me! Your job is fairly straight forward though – crafting up bizarre brews using various tools and ingredients. Do it right and you’ll have happy customers, but get it wrong and you may have patrons puking up any number of funky ingredients. If story telling, monsters, magic, cooking, craft brews, or specifically puking up hundreds of frog legs is your thing, then I think you will find a comfy home in the Dungeon Brewmaster’s Tavern. With a variety of experiences in VR that involve crafting/creating food and drinks, what makes Dungeon Brewmaster unique? We wanted to use the cooking/brewing as a pillar for story telling. When concepting the game we were drawn to the idea of bartenders who hear these wild stories or deal with weird customers. You’ll find those things in the DBM tavern, only in a much more fantastical setting. Of course, since the task at hand is still cooking and brewing, we DID want to add our own fun twists. There are currently around 30 ingredients, most of which are quite different from what you’d find in a normal kitchen… unless you have severed cyclops heads or vials of unicorn mucus in your pantry. Each Brewmaster is also equipped with tools such as a cutting knife, frying pan, alchemy table, cauldron, and a hungry trash mimic who will attempt to eat anything that leaves your hands. Just like barkeeps all over, serving up brews may be your job, but helping crazy customers with their problems is where the real tip money is at! Is the fantasy genre new to you? What made you decide to try it out? Our whole studio actually played an almost 20-person session of D&D once, complete with custom art and homemade potion drinks. It’s very much in our wheelhouse, even though professionally this is our first real foray into fantasy. Couching the “bar” theme in a fantasy setting also ensured we wouldn’t alienate any age groups by being too literal with alcohol or drinking references. Besides, fantasy is just fun – we figured if we’re going to be spending so many hours testing the game, we’d rather have massive frog ogres barking orders at us instead of normal humans! What is your personal favorite potion/poison to craft? Why? In Act 2 of the Story mode, a big update we recently released, you get to choose between two brews: The Goddess Voice Brew or the Wee Ole’ Brew. Choosing to make one will result in a brutal war, and the other will basically throw a big party. The decision massively changes your tavern’s vibe (my favorite is definitely the party tavern). Besides those, the RootBrew Float is always an uplifting favorite! Tell us a little bit about how players can start freestyling their own fantastical mixtures! Story mode itself only requires you to create a handful of the hundreds of combinations possible in the game, while Freeplay mode allows much more experimentation. There are currently a ton of crazy things that can be created, and we are updating this area weekly. Certain ingredients bestow special properties to the resulting brews – we love watching players discover all sorts of weird and hilarious concoctions! We’re also working on a system to allow players to craft truly unique custom brews with any ingredient combination. I think that sort of emergent experience can really help players feel connected to the game world. What’s the number one reason why someone should experience Dungeon Brewmaster? We’ve put a lot of time into the look and feel of the tavern and the locals who frequent it. Dungeon Brewmaster isn’t just a game about crafting the perfect Floppy Swamp Brew; it’s about being transported into a fantastic world full of crazy stories and characters. We really wanted players to feel like they’re somewhere new, where they could really let themselves get immersed in the setting. Our studio is full of a lot of talented people, but we’re actually very new to the game scene. We started as a motion graphics house working on everything from Nike commercials to Red Hot Chili Peppers music videos. A few years ago we began messing with our own game prototypes after-hours, which sort of snowballed into us creating mobile games and eventually turning to game development full time! 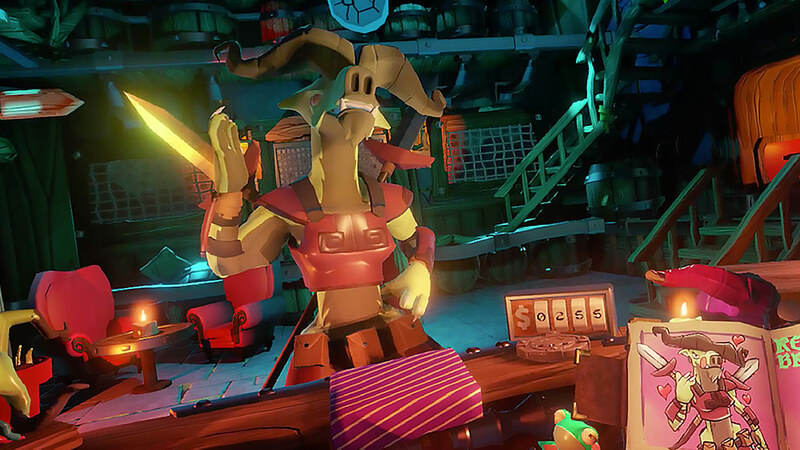 Dungeon Brewmaster is our first VR game though, so the real challenge comes from working on a different platform with entirely different user experience expectations. The team has been amazing though, and we’re really happy with what we’ve got so far! What does VR add to a game like Dungeon Brewmaster? 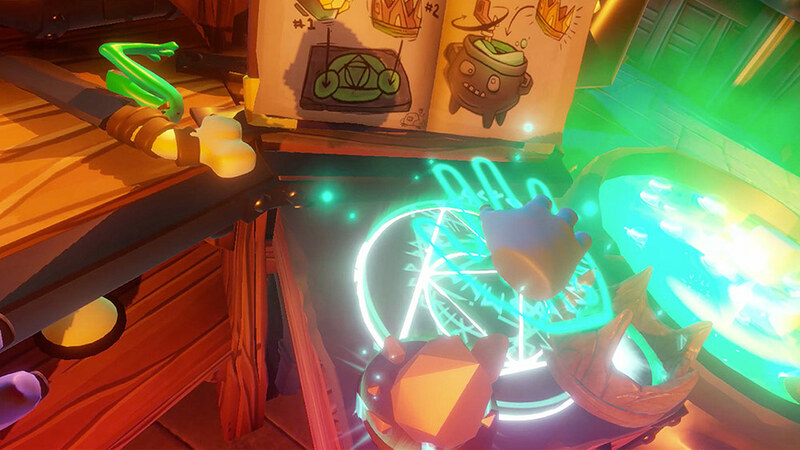 What do you think is the ‘magic’ part of the VR experience for you? VR is truly the heart of Dungeon Brewmaster. When you take off a VR headset for the first time, or even the hundredth time, and you have that “WOW, I forgot where I was!” moment, you understand exactly what it is that makes VR so enjoyable and unique. Finally, what does the future hold for the team? Will you continue to add new features to Dungeon Brewmaster? We are adding so much more to the game! We recently launched an update that doubles the Story mode content and adds a ton more to do/create in Freeplay mode. We’re listening closely to player feedback and are currently working on the next big story arc, as well as a super fun surprise… multiplayer! Info on multiplayer will come soon, but we are definitely keeping it lighthearted and completely crazy! As I mentioned previously, adding a system for players to create their own custom brews is also high on our list. Our studio (Super77) is working really hard on stuff inside and outside the DBM world, and we really can’t wait to show off what we’ve got brewing! Thanks for talking to us, Scott – good luck with future development! 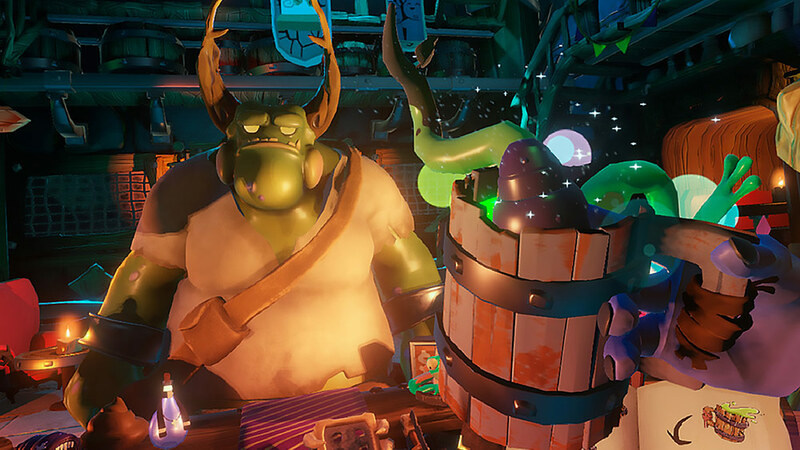 Dungeon Brewmaster is available on Viveport.